Strong, capable families are at the heart of every community. Our Preventive Services help communities maintain their quality of life by providing assistance while problems are still manageable. All of our Preventive Services are designed to help parents learn how to be more effective, connect the family with the appropriate resources within their community, and help guide, teach, and heal young people who might otherwise be at risk for placement in out-of-home services. For more than 25 years, New Directions has been a provider of preventive and Home-Based Crisis Intervention services. Our ability to engage families with practical strategies for coping and growth, such as our “Learn, Use, and Teach,” results in achieving self-reliance and long-term success. Helps prevent Seriously Emotionally Disturbed youth from entering psychiatric hospitalization and out-of-home placement. Our Intensive Case Management program provides home- and community-based case management services to Seriously Emotionally Disturbed youth in order to prevent psychiatric hospitalization and out-of-home placement. ICM provides referral, linkage, coordination, monitoring, advocacy, social support, and crisis intervention services. In 2010, 96% of the youth served were successfully diverted from psychiatric hospitalization with 98.5% diverted from incarceration. This program is supported by the Niagara County Department of Mental Health and the New York State Office of Mental Health. Niagara Frontier Family Network group meetings are held regularly with free childcare in Lockport, Niagara Falls, and Wheatfield, NY. Each meeting is led by a Family Peer Support Specialist, who is a caregiver of a child with special needs and trained to provide support and advocacy to other caregivers regarding the unique needs of children and adults with special needs. Provides short-term services to families with Seriously Emotionally Disturbed (SED) children. 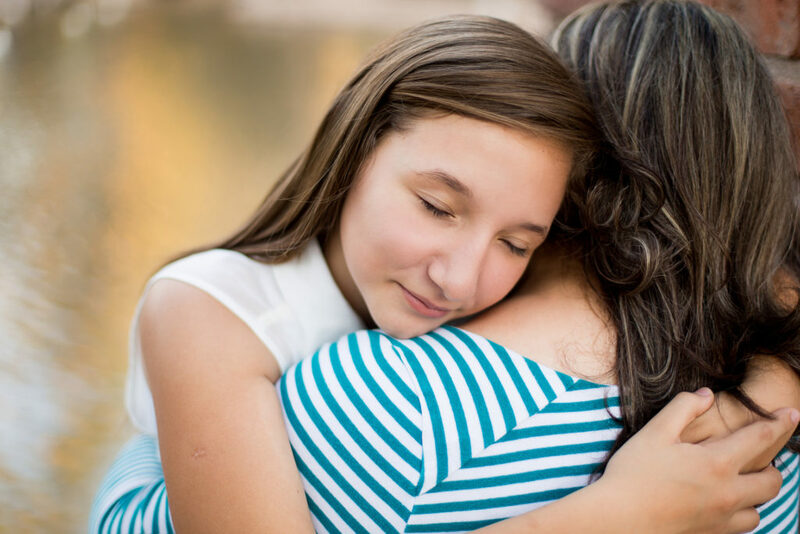 Our Home-Based Crisis Intervention program provides intensive short-term home- and community-based services to families with one or more Seriously Emotionally Disturbed (SED) youth at imminent risk of psychiatric hospitalization or out-of-home placement. We assist families to cope with and prevent crisis situations that lead to psychiatric hospitalization or out-of-home placement. In 2010, 100% of the youth served were diverted from psychiatric hospitalization. The Home-Based Crisis Intervention program provides referral, linkage, coordination, monitoring, advocacy, social support, and crisis intervention services. This program is supported by the Niagara County Department of Mental Health and the New York State Office of Mental Health. Provides on-site assessment and intervention services at homes, schools, and within the community. In partnership with the Niagara County Department of Mental Health Crisis Services, the Children's Mobile Crisis Outreach team provides on-site assessment and intervention services at homes, schools, and within the community to youth in various stages of crisis. We help prevent psychiatric hospitalization by linking and re-linking youth with necessary services, including Home-Based Crisis Intervention, which provide youth with stability. This program is supported by the Niagara County Department of Mental Health and the New York State Office of Mental Health. Providing youth and families with resiliency-based services. This resiliency-based program serves children, youth, and families who reside in Allegany and Cattaraugus Counties. Referrals to this program are made by the Departments of Social Services. Service components include social work counseling, mentoring, and Supervised Visitation Services for residents of Allegany County. Provides emergency and planned respite services. Community Respite Services offers emergency and planned respite services for youth in the Wraparound Program, provided in therapeutic foster homes. Helps parents and guardians prevent the placement of children into foster care. This intensive program partners with parents or guardians in order to prevent the placement of children in foster care, or to expedite their return from placement. The trauma-focused and family-sensitive approach assists in understanding how parents' own experiences influence their parenting and drives individualized service plans. The Partners in Parenting program serves Niagara County families that are referred by the Niagara County Department of Social Services, primarily through the Child Protective Services division. Services designed to prevent out-of-home placements of at-risk youth. Our primary mission is to divert out-of-home placements of at-risk youth by promoting the family's stability, competence, and self-sufficiency. Utilizing a strength-based and needs-driven process, families are assisted in developing and organizing supports, services, and resources in order to achieve their goals, vision, and independence. Families are assisted in assembling a Child and Family Team comprised of the youth and family, as well as natural supports, systems, and service providers. The Child and Family Team meet at least once a month to identify a plan of action to address unmet needs, and to develop and implement crisis plans. Services are coordinated through the Child and Family Team process, and the family and youth are assisted in reaching out to natural supports existing in their own communities. Provides mentoring, respite, transportation, and recreation to care coordination agencies. Workers and services are available to all of Erie County's care coordination agencies through our Vendor Network for Family Support Services. We provide mentoring, hourly respite, transportation, and recreation. Specialized services include substance abuse assessment and counseling, psychological assessment, psychiatric assessment, and individual and family therapy. Helps families meet the needs of their children and prevent the involvement of the child protection system. Families are sometimes reported to child protection services for issues such as educational neglect where the child's safety is not at risk. The Family Assessment Response program diverts the family from involvement in the child protection system and provides wraparound services to address the identified problem. It is an alternative approach to providing protection to children by focusing on engaging families in informal and formal support services that meet their needs and increases their ability to care for their children. A family assessment approach is less threatening for families and more engaging as well. It allows the family to have a bigger role in determining what services will benefit their child. This approach provides services that are tailored to the family's needs and avoids exposure to the child protection system and the stigma of being identified by child protection. Provides in-home support and services to safely keep children with their families. Erie County Preventive Services works with families who have been referred by Erie County Department of Social Services. A Preventive Service Coordinator works with the entire family to help the family identify strengths, goals, and needs. The primary purpose of the program is to help keep children safe and at home with their families. Based on the situation, the Preventive Service Coordinator links families with community resources and provides in-home support and services. The Program offers two levels of support: Traditional and Intensive. The Traditional program works with families for approximately 6 months. The Intensive program is short term (around 30 days) and meets with families every day. Trained Family Group Conferencing Facilitators partner with families to host a structured family meeting where family members, supportive friends and family, and service providers come together to create a plan focused on the well-being and safety of the children. Referrals for this program come through Niagara County Department of Social Services. This is a voluntary process designed to help restore decision making power to parents and guardians.